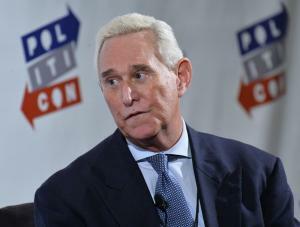 Sept. 26 (UPI) — Roger Stone, a longtime confidant of President Donald Trump, told the House Intelligence Committee on Tuesday there is “not one shred of evidence” that he colluded with Russia before last year’s election. Stone was questioned by staff members but committee members were present. He spoke privately but he has asked the committee to release the transcripts of his testimony immediately. “Multiple members of this committee have made false allegations against me in public session in order to ensure that these bogus charges received maximum media coverage,” Stone said in a statement. “Now however, you deny me the opportunity to respond to these charges in the same open forum. This is cowardice. Earlier this year, Rep. Adam Schiff of California, the top Democrat on the panel, told reporters that one reason potential witnesses demanded public hearings was because they want to promote books. Stone has written “The Making of the President 2016: How Donald Trump Orchestrated a Revolution” — and has inspired a Netflix documentary, Get Me Roger Stone. “There is one ‘trick’ that is not in my bag and that is treason,” Stone said. He added that he didn’t have any improper connections to Russia and didn’t know Wikileaks planned to publish hacked emails of Hillary Clinton campaign chairman John Podesta. He said he only knew about Wikileaks releases beforehand “by reading it on Twitter,” and by journalist who interviewed Wikileaks publisher Julian Assange of his plans to publish. On Monday, Stone tweeted a photo of himself “preparing” for his testimony by reading the 1976 book, The Russians, by former New York Times Moscow Bureau Chief Hedrick Smith.